France has a reputation of being one of the world’s best wine producers… and it’s the truth! A great way to explore the culture and traditions of France is through wine. Even if you aren’t a wine connoisseur, France has many tour options you can enjoy to explore the world of French wine during your visit. If you’re short on time a tour is a great way to discover new places and learn new things. And since there are so many options we’ve made a list of the best wine tours in France. If you’re visiting Paris and you don’t have enough time to visit wine regions but you’d love to try their wine, this is the tour you’re looking for. 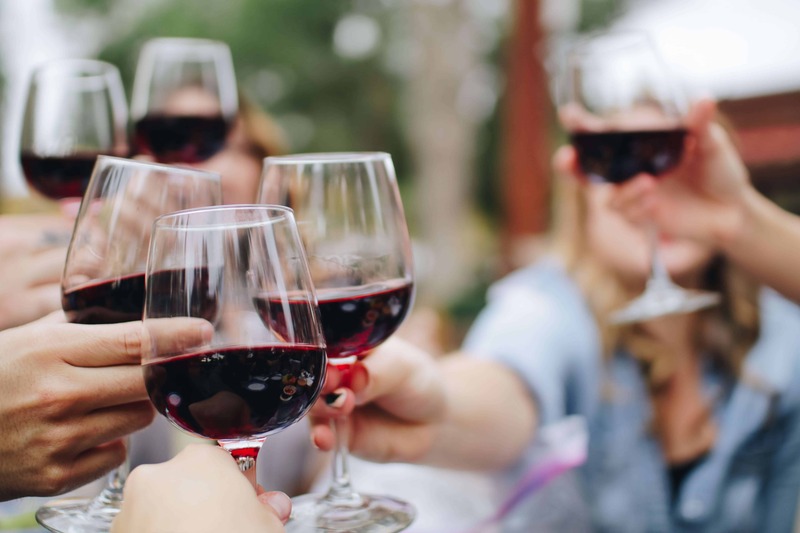 Through this tasting you’ll discover each region’s tastes, peculiarities, smells, vineyards and of course, wines all while learning how to taste wine like a professional. How long it takes? 2.5 hours. When are these tours held? 3 to 5 times a week from 5 pm to 7 pm. Perfect for: everyone, from beginners to experts. Location: Latin Quarter in Paris. Where do I book? In their website. St. Emilion is a region 1 hour away from Bordeaux and it produces delicate and fruity red wines. You’ll be driven along the “Chateau Route” of this region, passing by mythical appellations like Pomerol, Lalande de Pomerol, and Fronsac. How long it takes? 9 hours. When are these tours held? You can check the calendar here to see available dates. *The tour can be enjoyed in Spanish, English, French, Portuguese or Chinese. Perfect for: couples or small groups of wine enthusiasts. The minimum to make a reservation is of 2 people, the maximum is 8 people. Cost: from €190 to €370 per person (the price varies depending of the number of people taking the tour). Location: St. Emilion is 1 hour away from Bordeaux but you won’t need to worry about transportation since the tour includes it. If you’re in Paris, you can take a train from there to Bordeaux. Where do I book? You can book in Bordovino’s website. If you’re in Paris you can take a day trip and visit a region close to Loire-Valley and Burgundy. You’ll have a day to discover fabulous French vineyards and also the process of cheese making. How long it takes? All day long. Perfect for: wine lovers that want to discover more about the French wines either if you’re novice or expert. Location: The meeting point of the tour is at Porte d’Orléans in front of the café La Rotonde. You can take line 4 with direction to Mairie de Montrouge and stop at Porte d’Orléans, then follow exit n° 1 and head to Place du 25 aout 1944. Where do I book? You can book in Wine Day Tours’ website. Have an adventure on the region of Champagne while discovering what it takes to have the perfect grapes for the perfect champagne. Also, you’ll get to meet a really famous figure: Dom Pérignon. This tour includes a stop in the “Capital of Champagne”: Epernay. How long it takes? From 9 am to 5 pm. Keep in mind that this tour doesn’t include transportation from Paris and it starts early in the morning, so plan accordingly. When are these tours held? Tuesdays, Thursdays, and Saturdays. Visit to the Avenue de Champagne in Epernay where you’ll get to see the most illustrious Maisons de Champagne: Moët & Chandon, Perrier-Jouet, Mercier, etc. Guided tour and tasting at Moët & Chandon, visiting the largest cellar in Champagne (the tour ends with a glass of Möet Impérial!). This visit can be interchangeable with a visit to Mercier o De Castellane depending on availability. Perfect for: small groups of Champagne lovers. Location: The meeting point of the tour is at Reims station. If you’re in Paris and want to take this trip you can get a train to Reims. The trip takes about an hour. You can check tickets and timetables here (you can buy tickets starting on €24). Where do I book? You can book in France Bubbles Tours’ website. A tour that will appeal to both wine and architecture enthusiasts. First of all, you’ll visit impressive castles in the Loire Valley. And the best part of this tour is that they pick you up in Paris, so if you’re there but want to experience the wine culture this is a tour you must consider. How long it takes? 12 hours. Tour starts at 7:30 am, parting from Paris. When are these tours held? Tuesdays, Wednesdays, Thursdays, and Saturdays. Perfect for: wine and architecture enthusiasts. Location: The meeting point of the tour is at Place Denfert Rochereau, outside the entrance to the Catacombs. To get there you can take the Métro or RER B and stop at Denfert-Rochereau or take the bus 38 or 68. Where do I book? You can book on City Wonders’ website. If you’ve always wanted to know how to taste wines all while visiting the Rhône Valley, this tour is for you! Discover the French wines while visiting Châteauneuf du Pape, Beaumes de Venise and Tavel. When are these tours held? Tuesdays and Fridays. Visit to 2 wineries in the Rhône Valley: Tavel, famous for the rosé wine, and Chateanuef du Pape. Perfect for: beginners in the world of wine. Location: Avignon. If you’re in Paris, you can take a 3 hour trip in train to Avignon. Where do I book? You can book in Provence Reservation’s website. Discover all of the secrets of wine making in Burgundy. This tour is for any wine enthusiast, it doesn’t matter if you’re not an expert. Also, you’ll enjoy great views of vineyards and typical French towns. How long it takes? From 9:30 am to 5:30 pm. When are these tours held? Offered everyday. Perfect for: people interested in the process of wine making. Location: Burgundy. The meeting point is in the Tourism Office of Beaune which is 2 hours and a half away from Paris in train. Where do I book? You can book in Divine Bourgogne Tours’ website. In addition to enjoying Paris like a true local drinking in good local wine bars, you’ll be able to expand your wine knowledge in a very casual way with some great sharing food platters of cheeses and cured meat. One of the best food and wine tours in France. How long it takes? 2.5 to 3 hours. When are these tours held? Tuesdays to Sunday. Perfect for: the ones who want to experience Paris like a local. Location: The meeting point of this tour changes everyday, so be sure to check it when you book it. Where do I book? You can book in Original Food Tours’ website. Discover the heritage of the Languedoc region through wine tasting and architecture. This town is filled with “folies”, elegant houses surrounded by gorgeous gardens and that were used as summer houses by aristocrats of the 18th century. How long it takes? 3.5 hours. When are these tours held? Wednesdays and Thursdays. Location: Meeting point is on the Esplanade de l’Europe. If you’re in Paris, you can take a 4 hour trip to Montpellier in train. There are also flights from Paris to Montpellier, although more pricey they’re also way faster. Where do I book? You can book in Montpellier Wine Tours’ website. Champagne Cruise on the Seine River – Bliss! from Ô Chateau WineTasting on Vimeo. Finally, cruise the Seine in style. Cruising the Seine is an unforgettable experience and what better way to do it than drinking Champagne while also enjoying a great view of Paris. How long it takes? 1 hour. When are these tours held? Check availability here. Perfect for: couples (but really… anyone would enjoy this tour). Cost: €55 per person (€49 if you’re a student). Location: Meeting point is right at the foot of the Eiffel Tower. Where do I book? You can book in O’Chateau’s website. Which one will you book? Tell us in the comments! Cheers??? ?